One of the recent smart phones to make iPhone owners slightly glance away from their magical devices for a second, has been the Palm Pre. The Pre is not available in Canada, yet, but is offered by Sprint in the US. It will be coming to Canada later this year, from Bell. Their web OS, and background applications have been raved about, and honestly, it looks like a solid device. The main thing holding it back, is it’s lack of 3rd party apps, and some sort of app store. 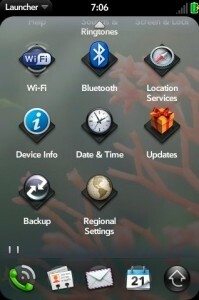 Today I’ll show you how make your iPhone look like a Pre, with just a few downloads from Cydia. You will have to have your iPhone jailbroken, (obviously), with Winterboard, FontSwap, and MakeItMine installed. These are all found in Cydia, and you shouldn’t have to add any extra repositories. Just search for them. The main thing you need to do, is open up Cydia, and search for “PREtentious”. 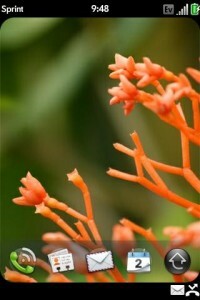 It is a theme from ModMyi.com, from author “Matt Punk”. Their repository is one of the defaults, in Cydia, so you shouldn’t need to add them. This theme is one of the most thorough themes I have seen in a while. They really tried to cover every aspect with this one. Wallpaper, Lockscreen, icons, UISounds, mock cards, Notifier icons, and so much more. Download the theme, and apply it in Winterboard. That, alone, looks pretty good, but there’s a couple of final touches, to make your iPhone look almost exactly like the Pre. With the “MakeItMine” app (available in Cydia), change your carrier to “Sprint”. Next we’ll change the font to the official Palm Pre font, “Prelude”. Install “Font Swap”, from Cydia. The “Prelude” font, is not available in Cydia, so you’ll need to install it manually. I have packaged 2 fonts, ready to use with Font Swap. Get the Palm Pre “Prelude” fonts, for iPhone here. This package is the fonts only, so you will not see a preview in Font Swap. Once downloaded, unzip, and open the folder. You should see 2 folders inside. one named Prelude.font, and one named PreludeClock.font. We will install these with either DiskAid, or your FTP program of choice, and OpenSSH. These methods have been explained a few times on this blog. Click here, to find out about DiskAid, and click here to find out about OpenSSH. Next open op Font Swap and apply Prelude in System Fonts, and in LockClock Fonts. Viola! Your iPhone looks like a Pre. Here are some screen shots of my iPhone with all this applied. In my screens you’ll notice I’m also using the Five Column Springboard, and the Five Icon Dock.